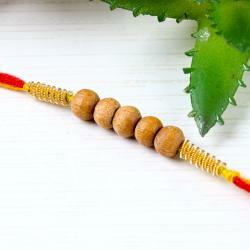 Set of 5 beautiful designer Rakhis made for the occasion of Raksha Bandhan are the best gift to cheer the eve. Multicolored beads with golden touch and matching strings looks amazing. 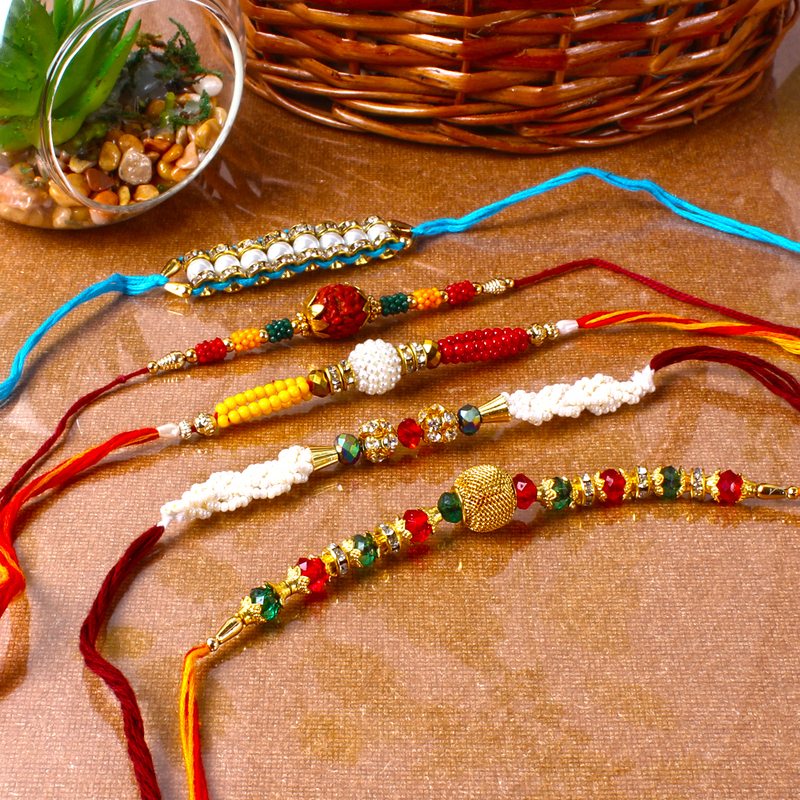 These beautiful Rakhis when tied on the wrist of your loved one will cheer up the eve and will spread love all over. 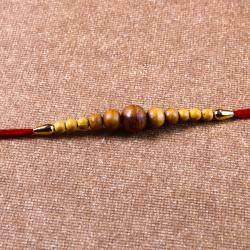 Each Rakhi is different from one another in design and style. Celebrate the moment by sending this special pack of 5 Rakhis to your loved one and bless them with your love for life. 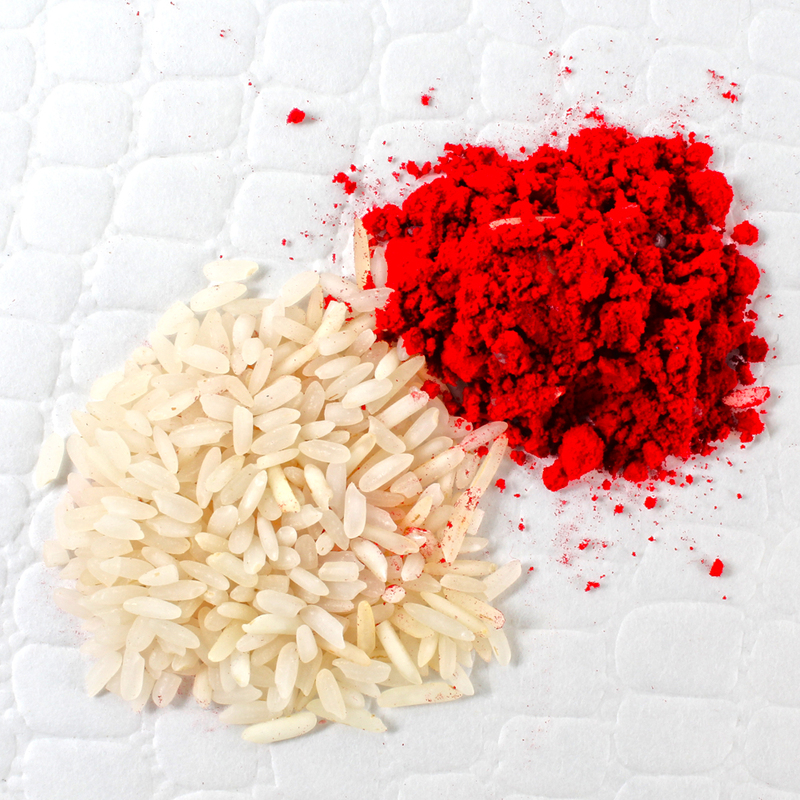 Make this special pack be part of your function and make a difference. Product Consists: 5 Designer rakhi of Pearl with colorful beads, Pearl and stone rakhi, Pearl beads with diamond rakhi, Rudraksha and colorful beads rakhi, Golden with colorful stone rakhi.